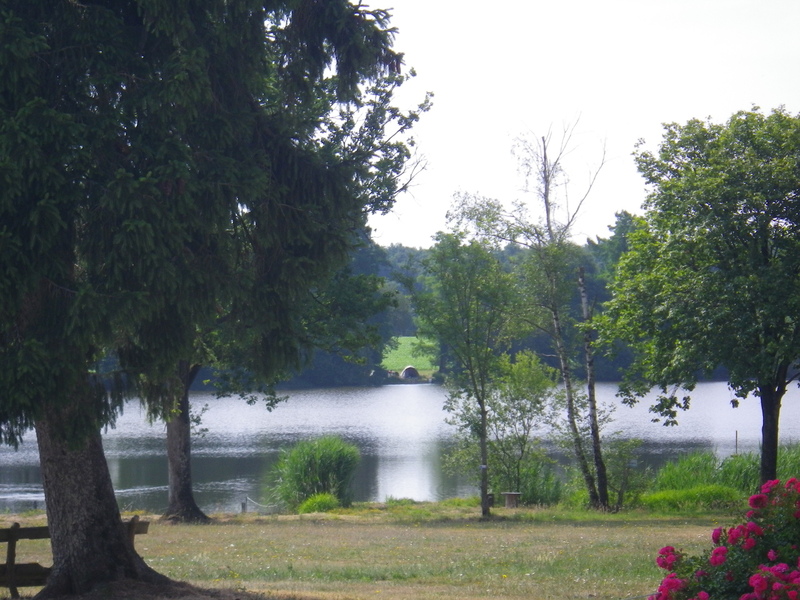 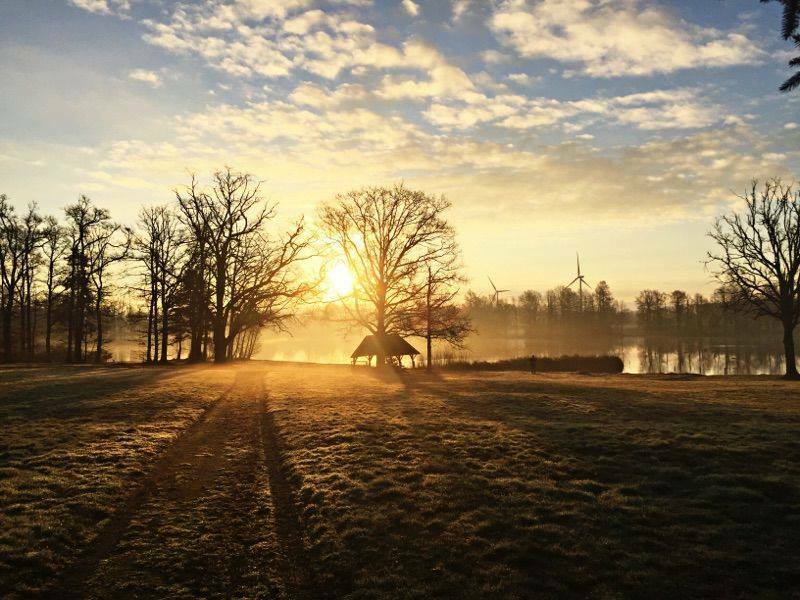 The landscape-gardener monks of the Absie Abbey created the 35 acres lake around the middle of the 14th Century. 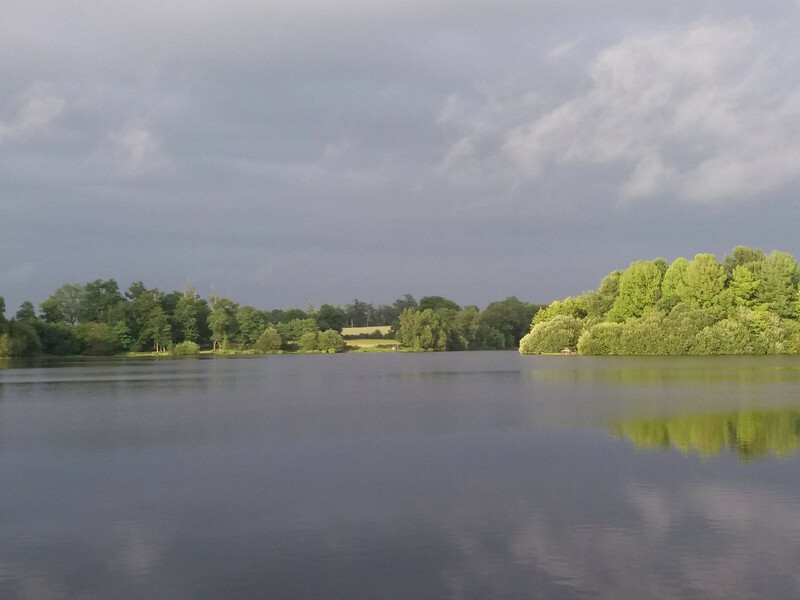 The sandy lake-bottom is uncluttered apart from just a few weed and reaches a depth of 3.5 m. Depending the swim, the depth varies from 50cm to 3m. 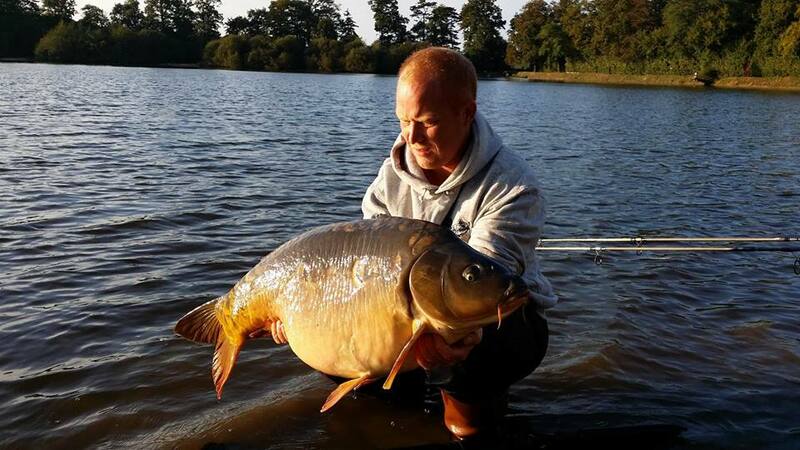 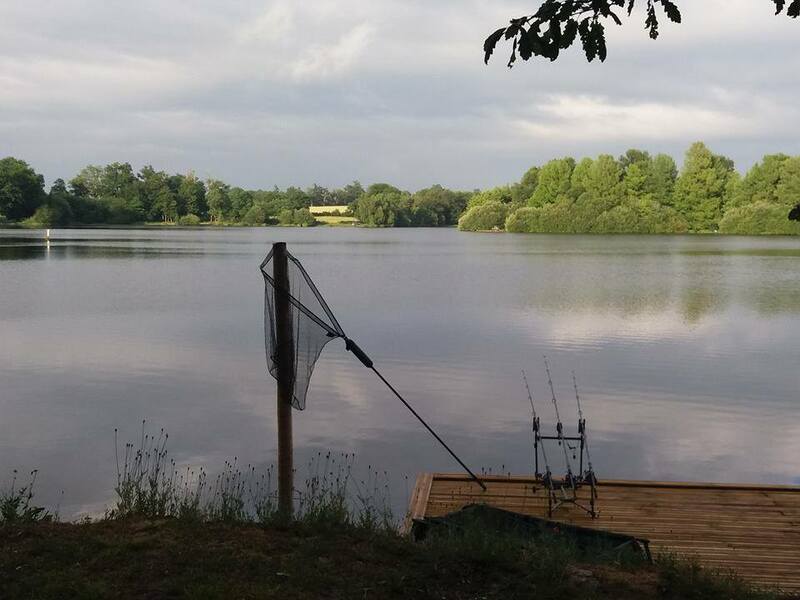 The lake, with its 35 acres offers 14 swims, accommodating 2 anglers each, though you can fish alone, should you wish. 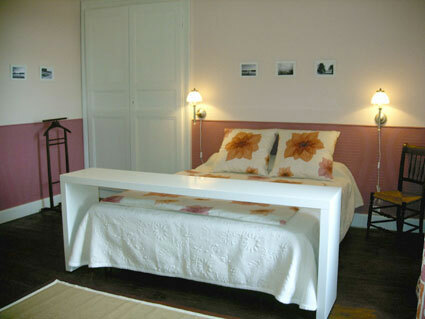 The maximum number of anglers at one time is limited to 12, however, to guarantee comfortable room for everyone. 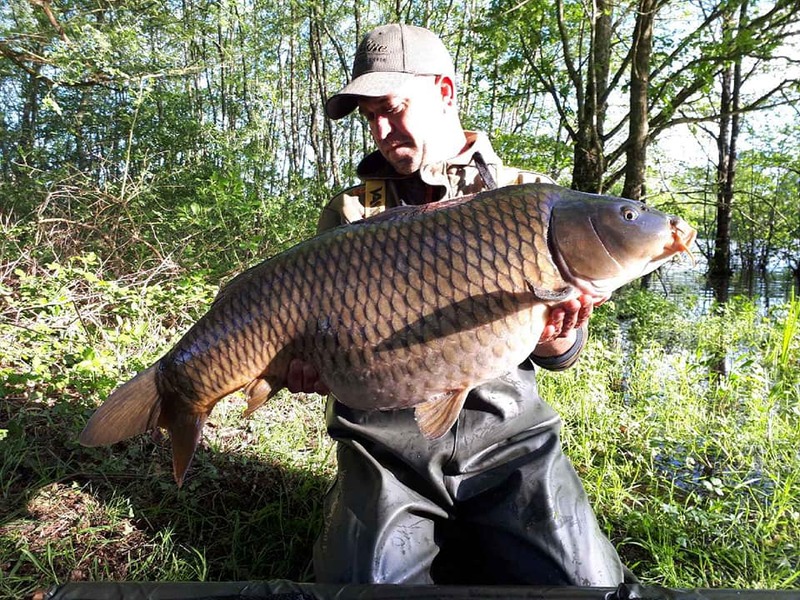 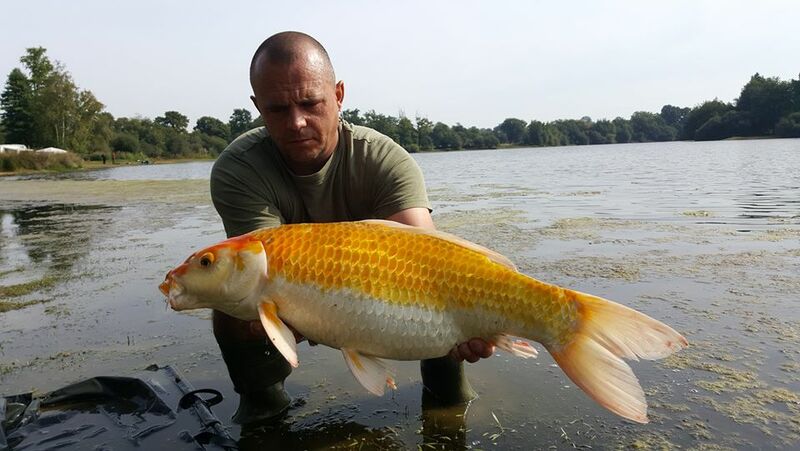 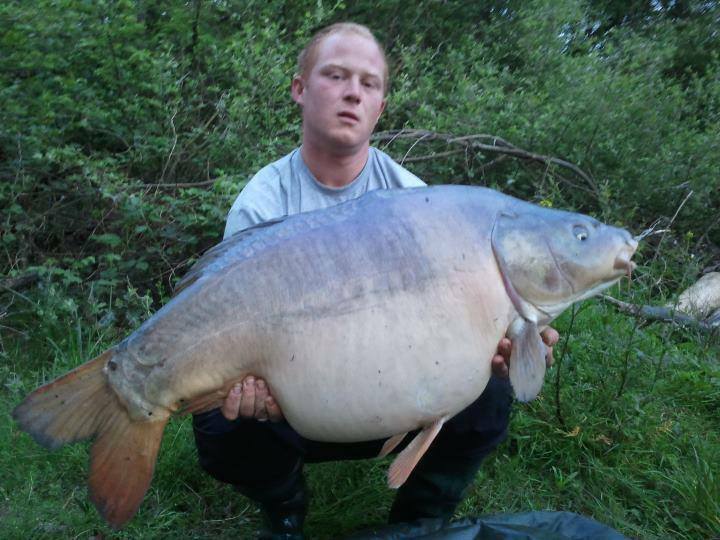 A large number (600) of carp are waiting for you! 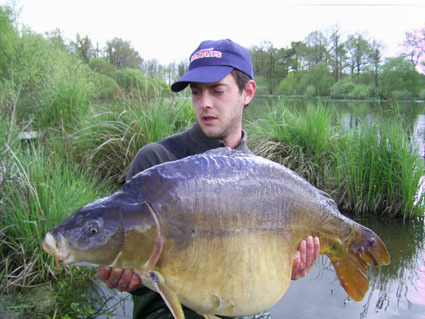 They comprise Mirrors, Common attaining a weight of more than 66 lbs. 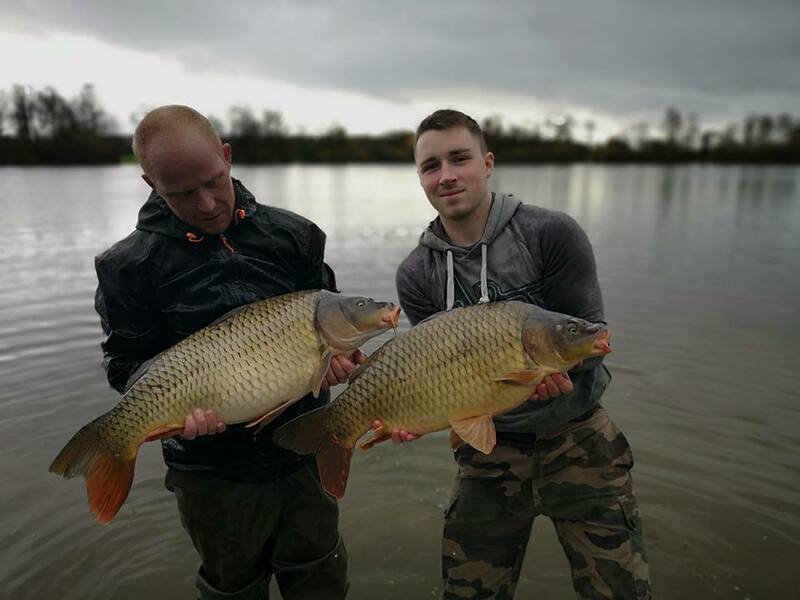 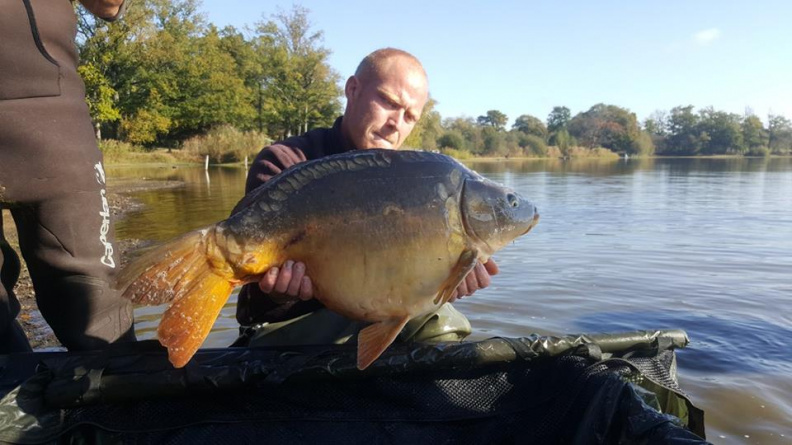 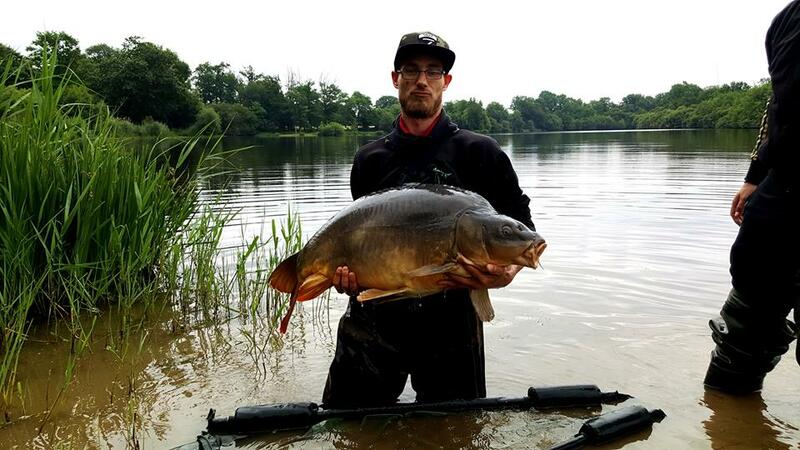 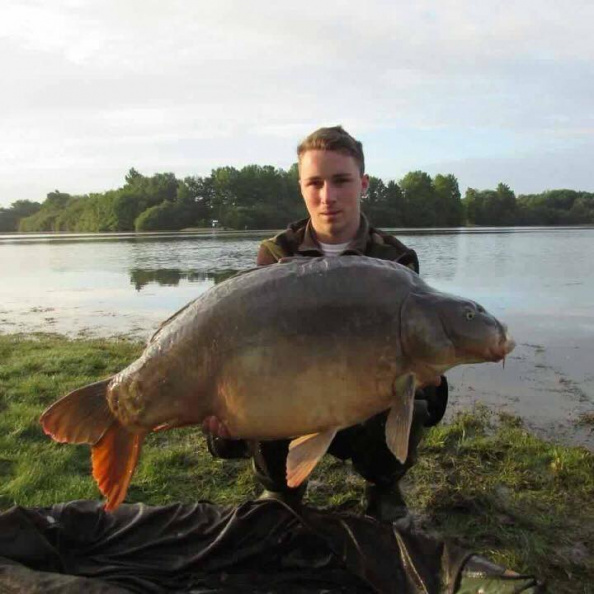 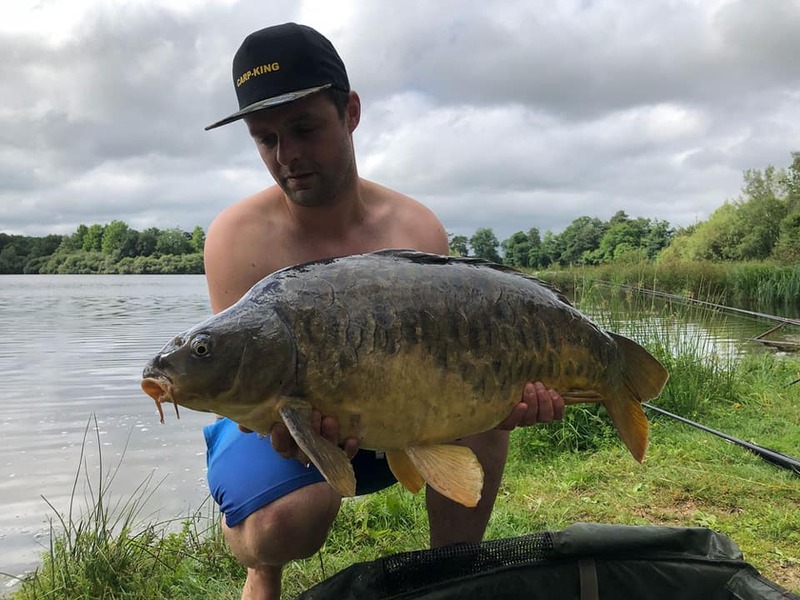 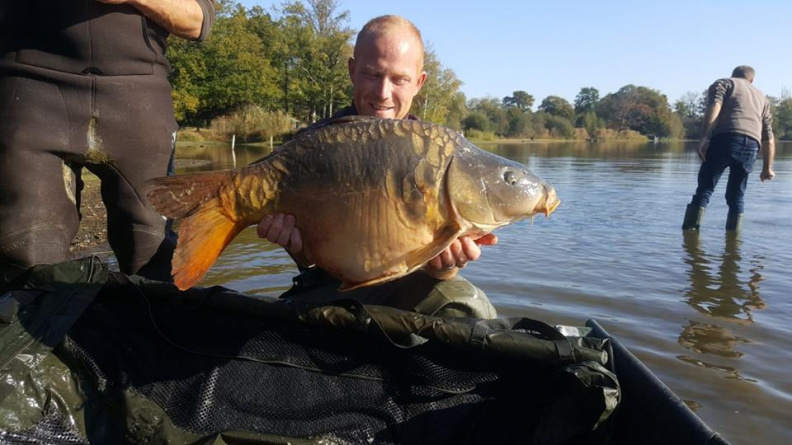 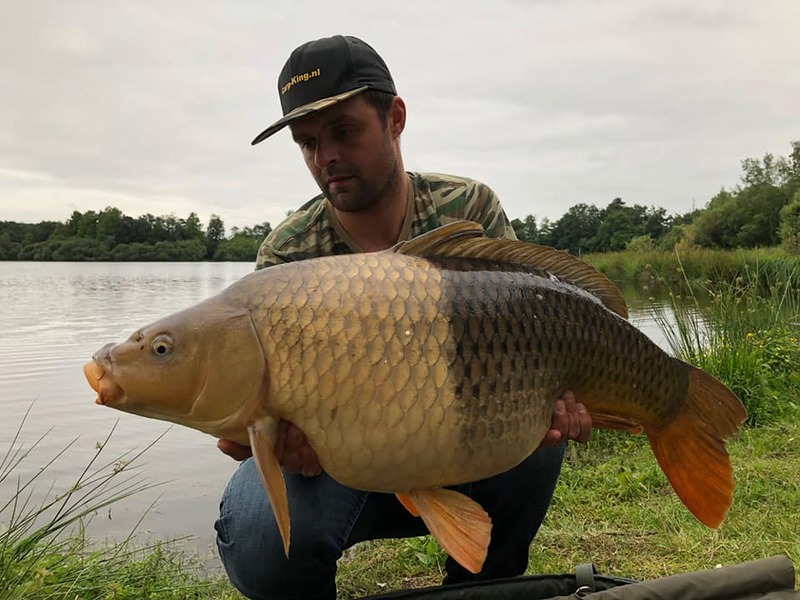 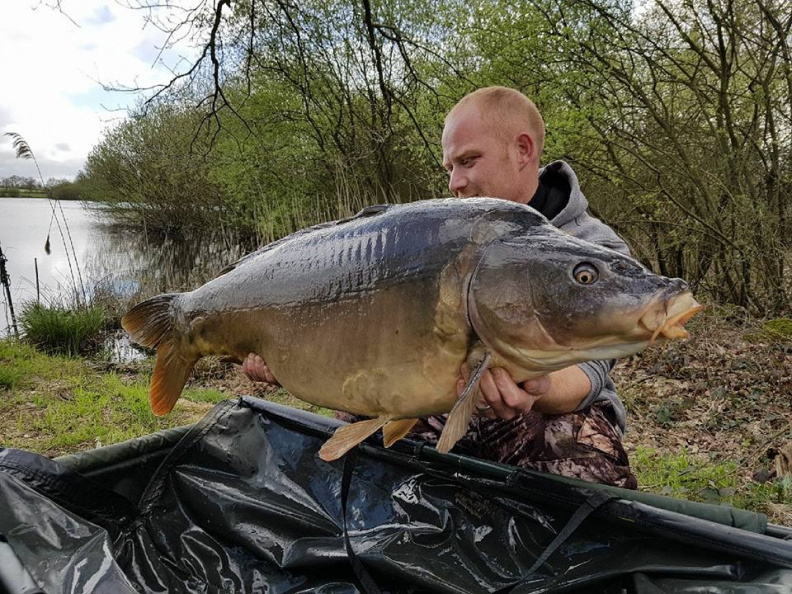 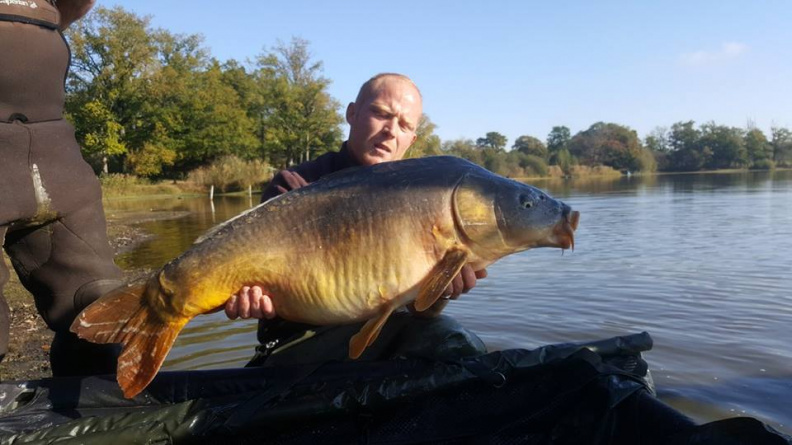 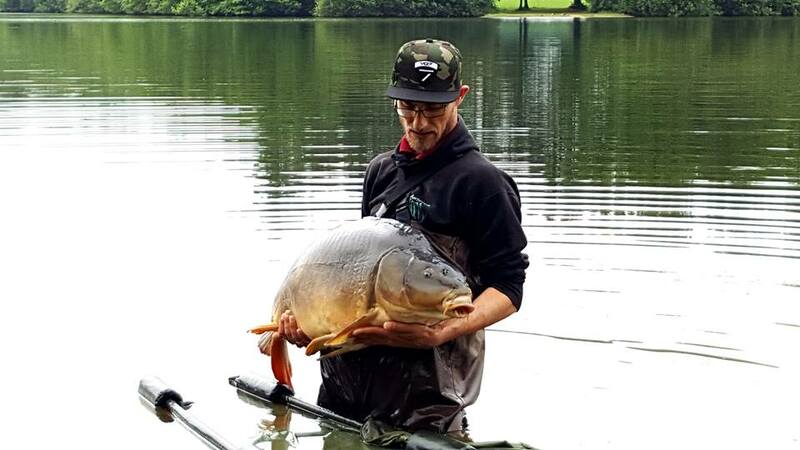 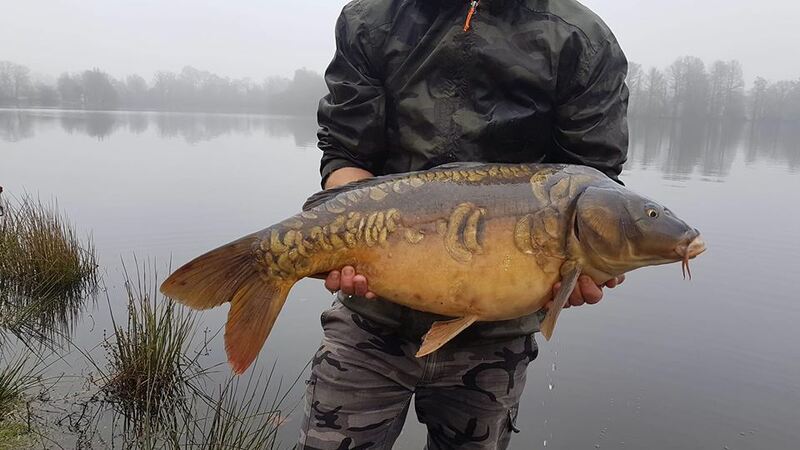 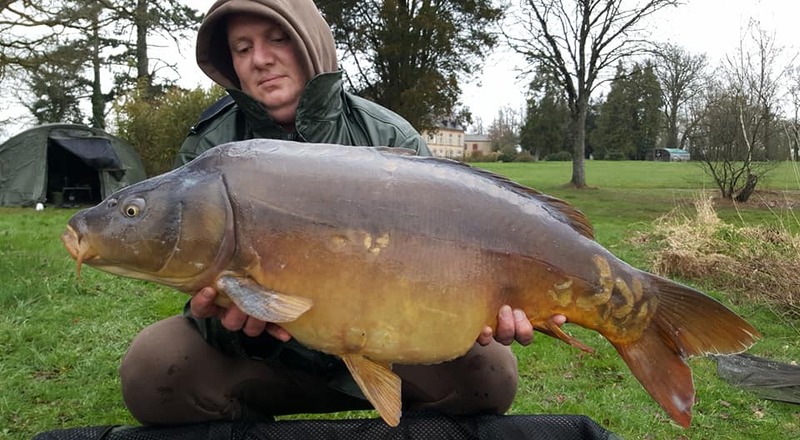 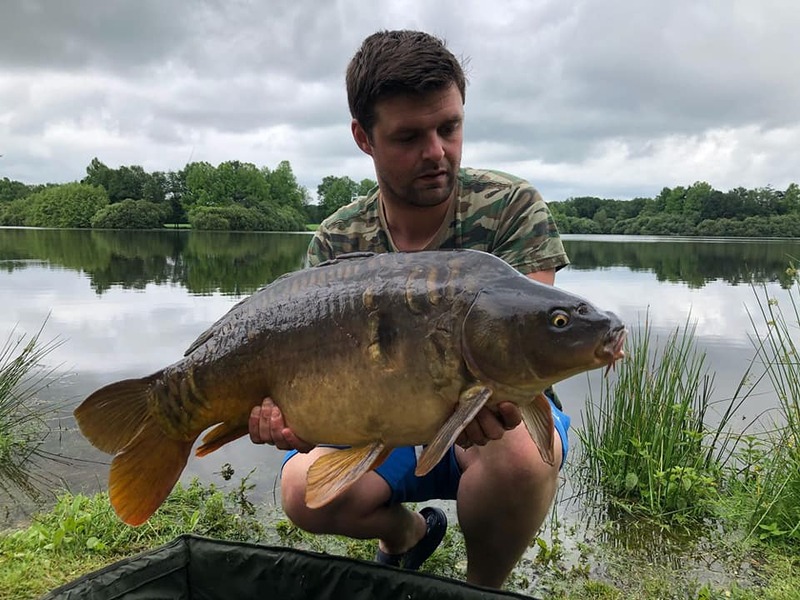 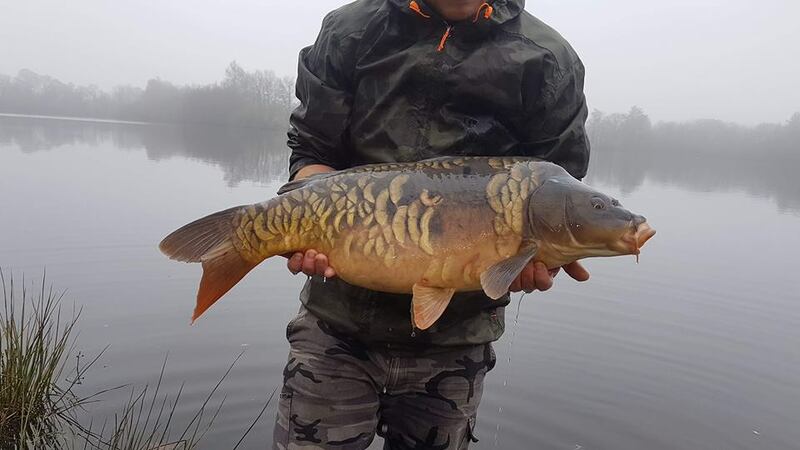 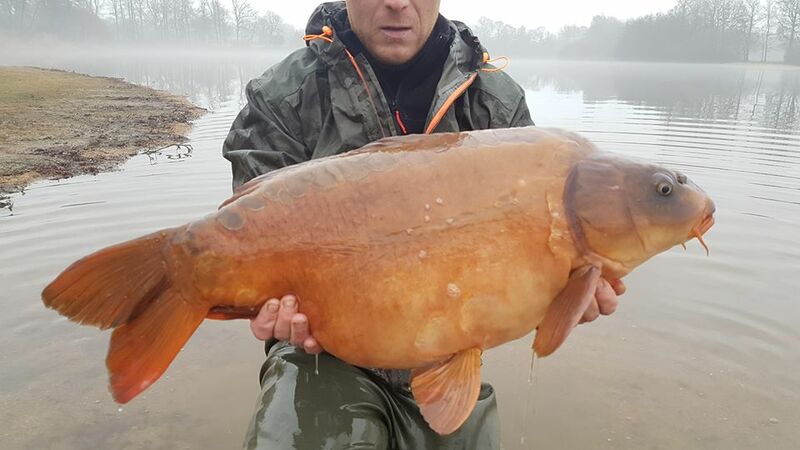 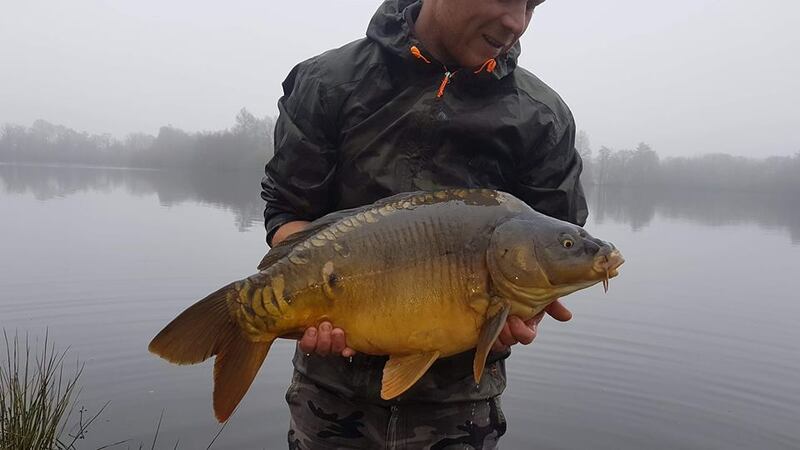 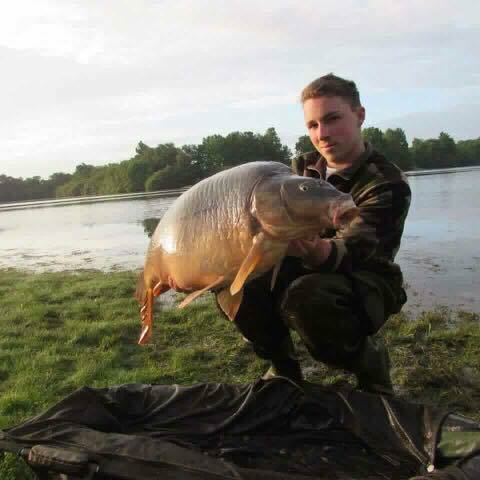 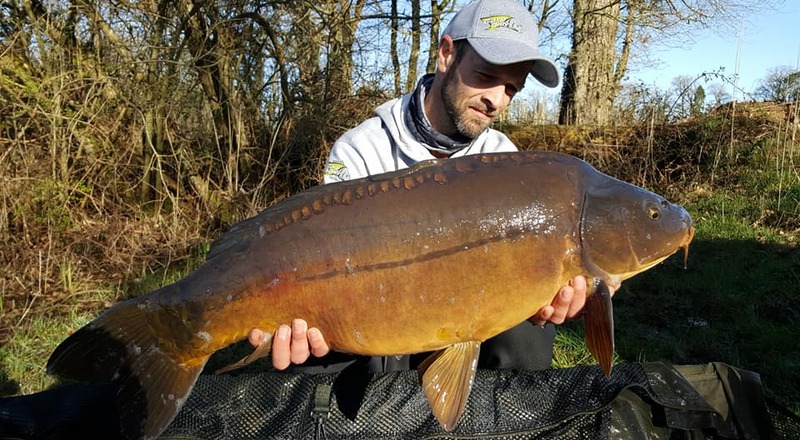 This winter (2018) an exceptional re-stocking will take place of around 200 carp between 22-55lbs. 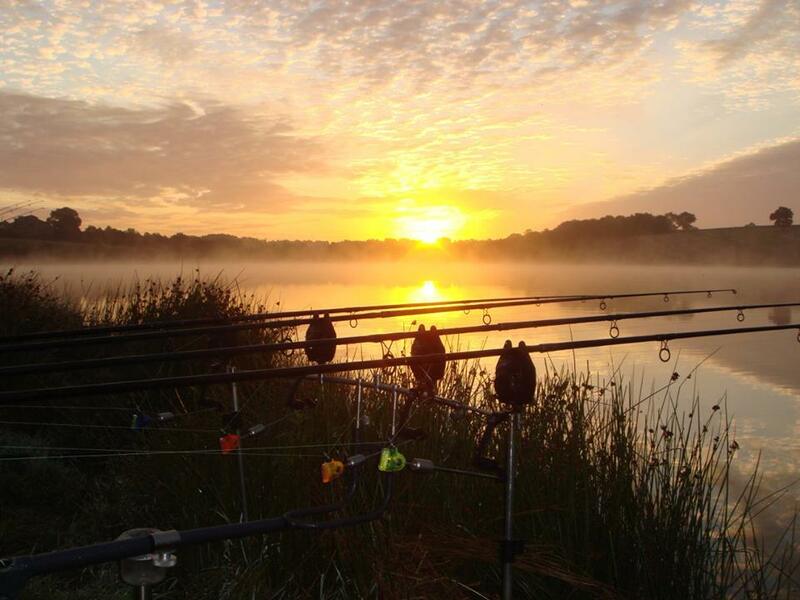 All this in order to make this the best complete angling experience and private domain in France. 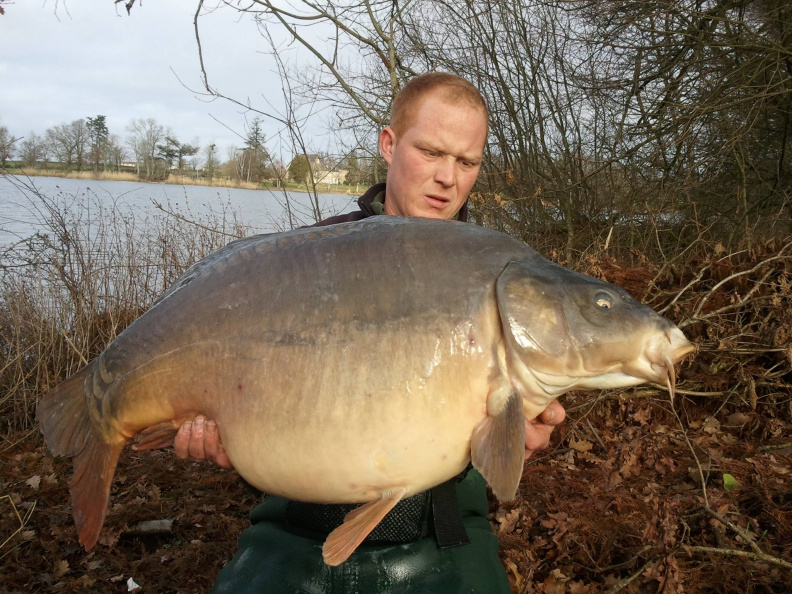 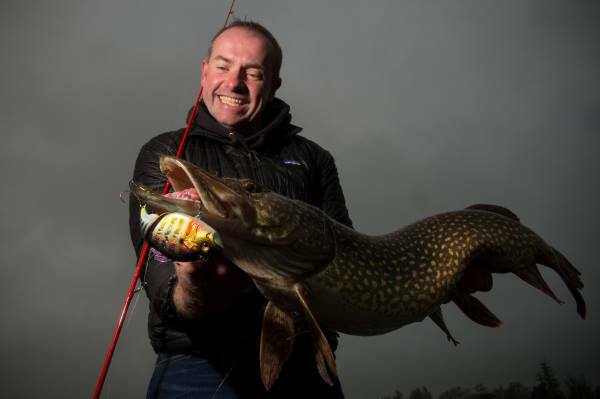 There are also sturgeons of up to 18kg (almost 40lbs) which will give you an incredible fight! 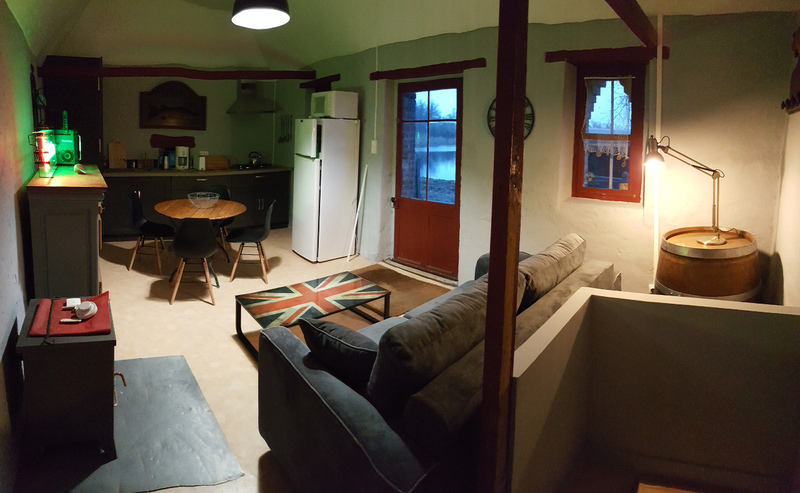 There are 4 lodges on the domain, very different from each other, but all with an indisputably high comfort level. 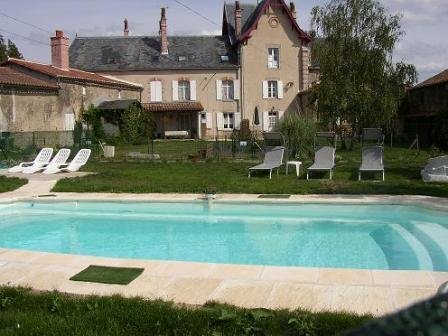 For relaxation there is a shared, heated pool (9 x 5 m). 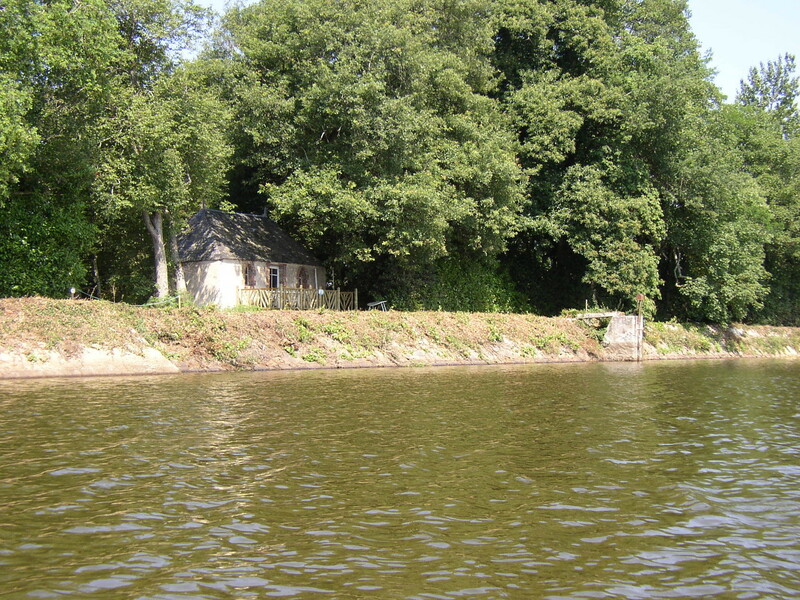 Located at Swim 1, the angler’s House is just a few metres from the lake’s edge. 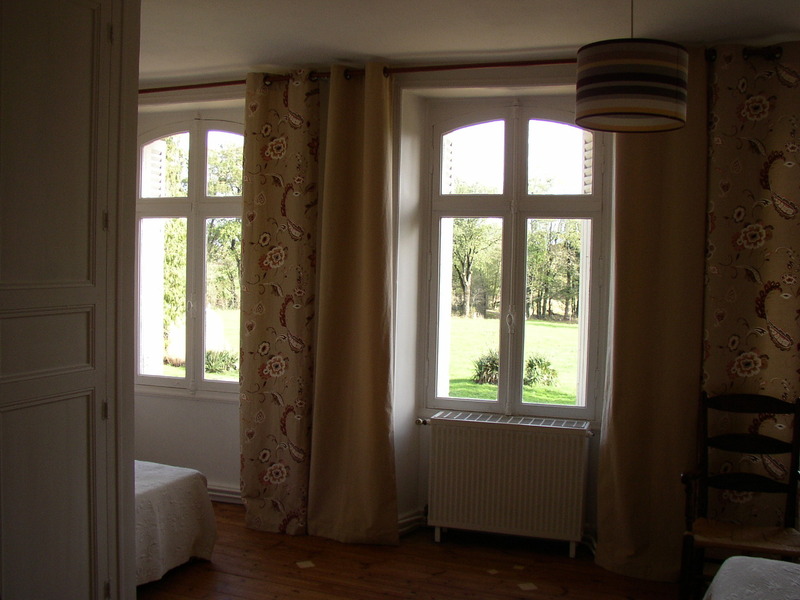 It was built by the Absie Abbey’s monks in the 17th Century; it is furbished tastefully and with maximum comfort. 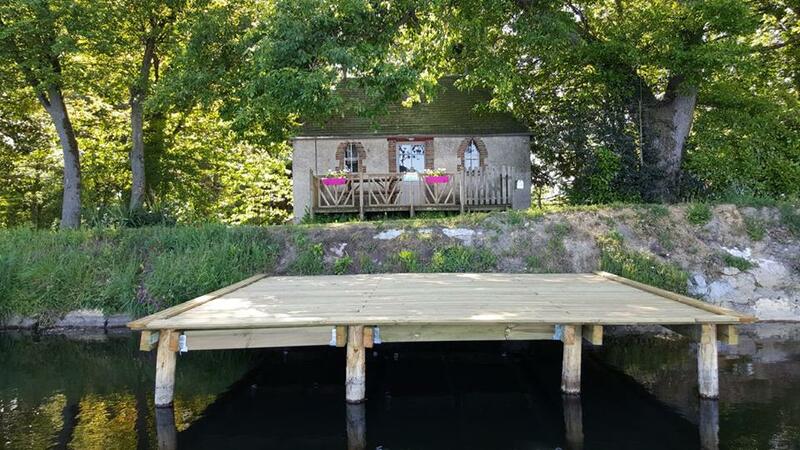 The 8 m2 patio faces the lake and you can spend some delectable moments here in the calm and beauty of nature, relaxing alone or with your family/friends. 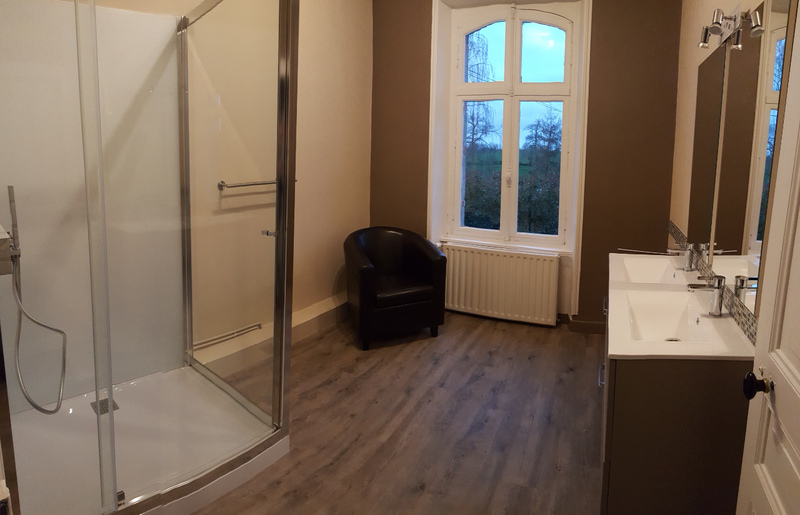 Maximum of 4 people. 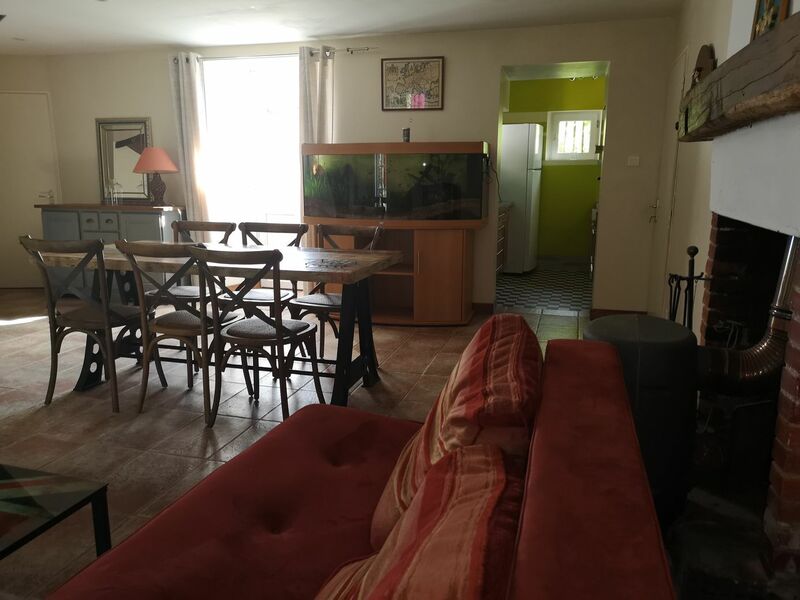 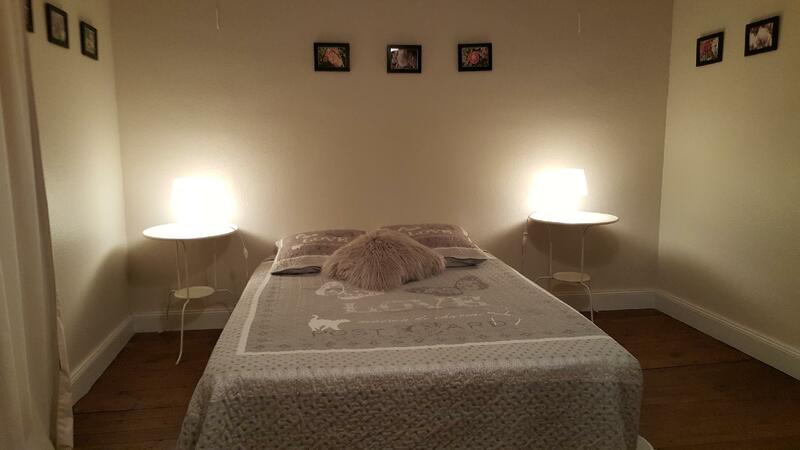 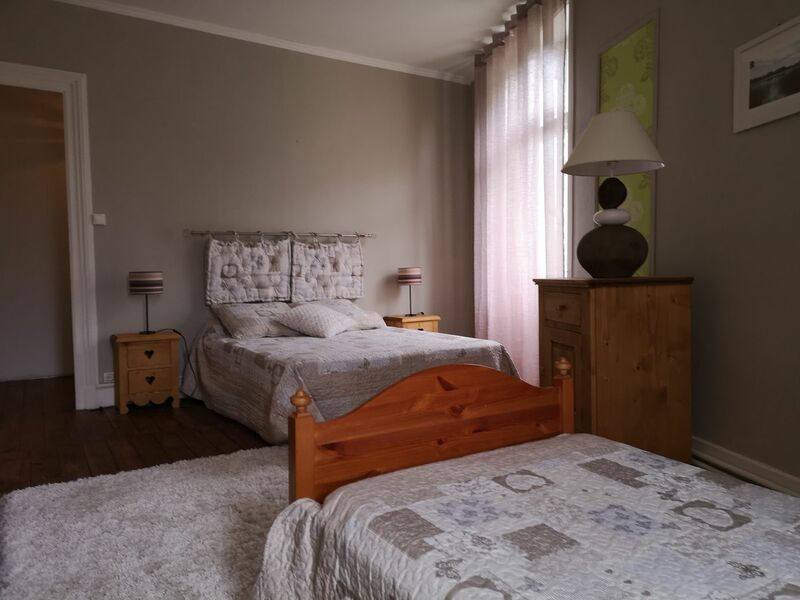 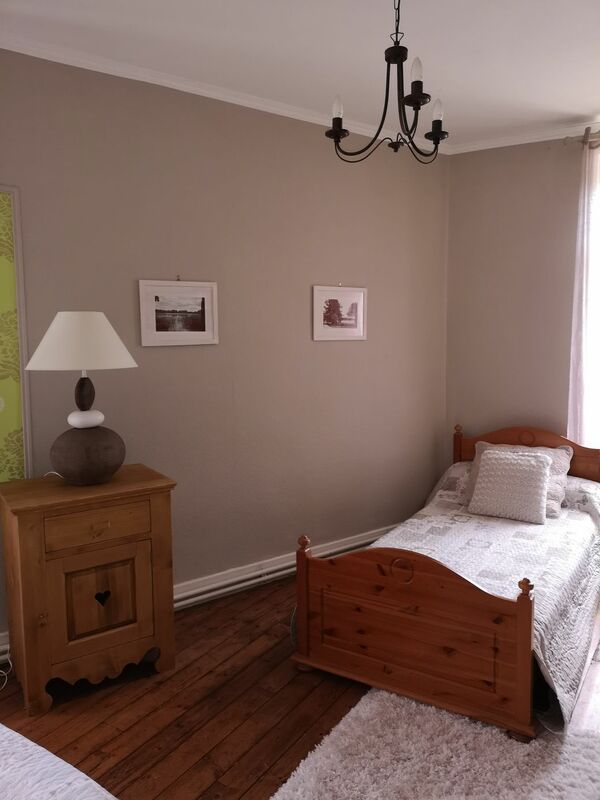 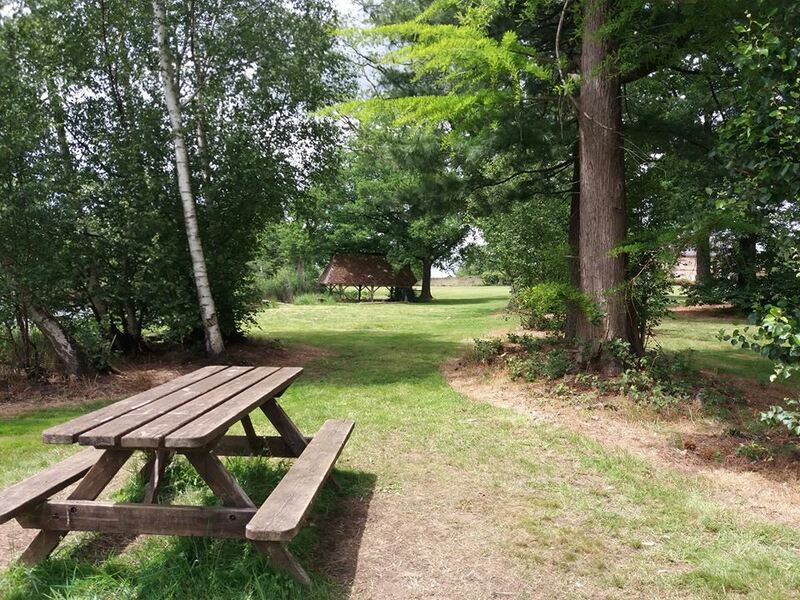 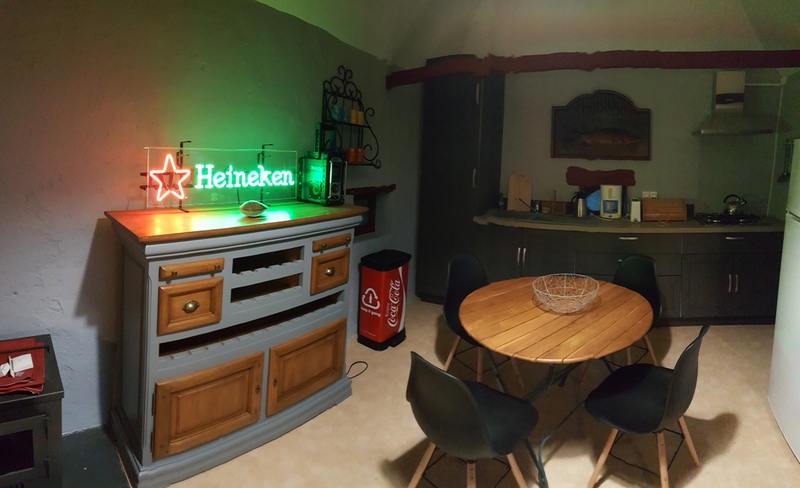 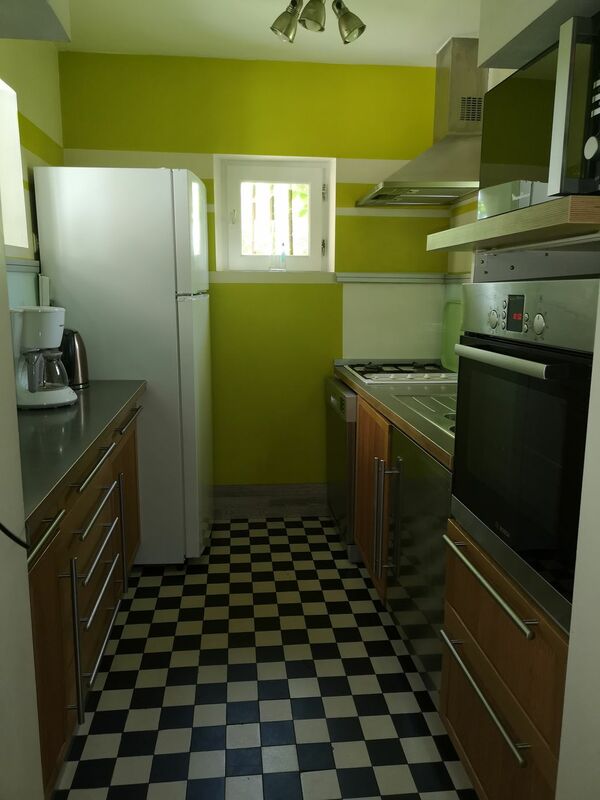 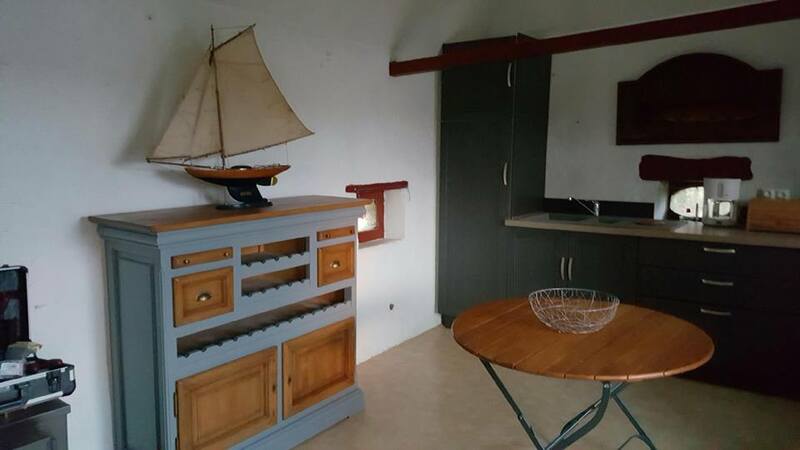 Comprising; living room overlooking the lake with 2 bunk beds, equipped kitchen (cooker, microwave, fridge), bedroom overlooking lake with double bed, shower-room, WC. 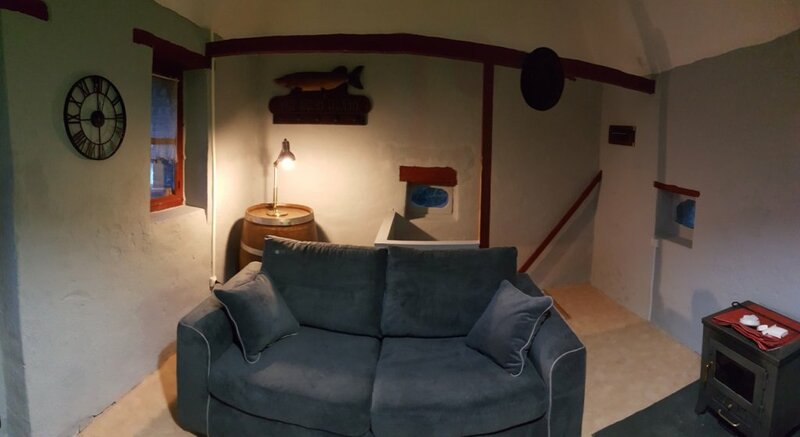 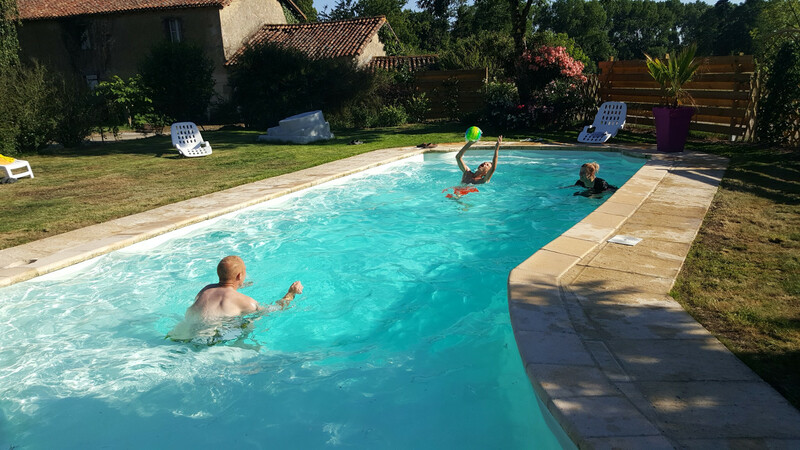 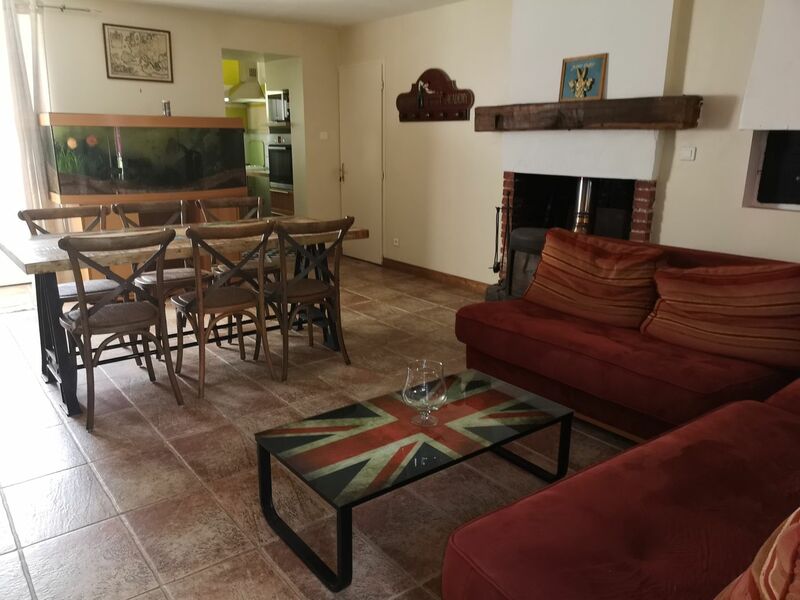 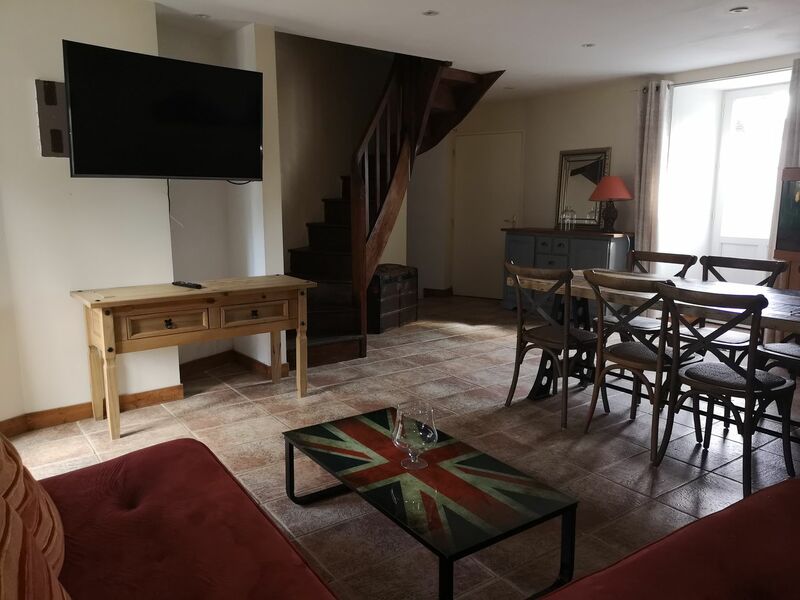 Set a little back from the lake, are 2 more gites, decorated in contemporary style whilst respecting the history of the 200 years + environment. 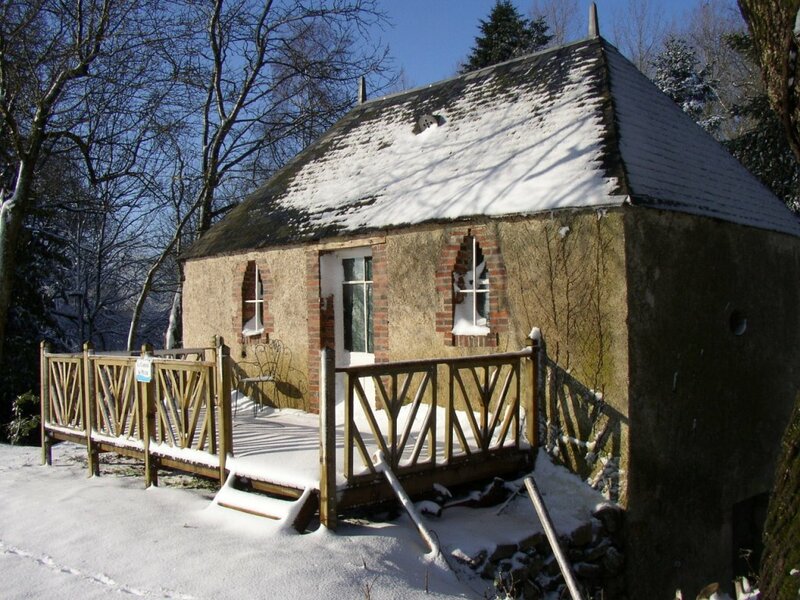 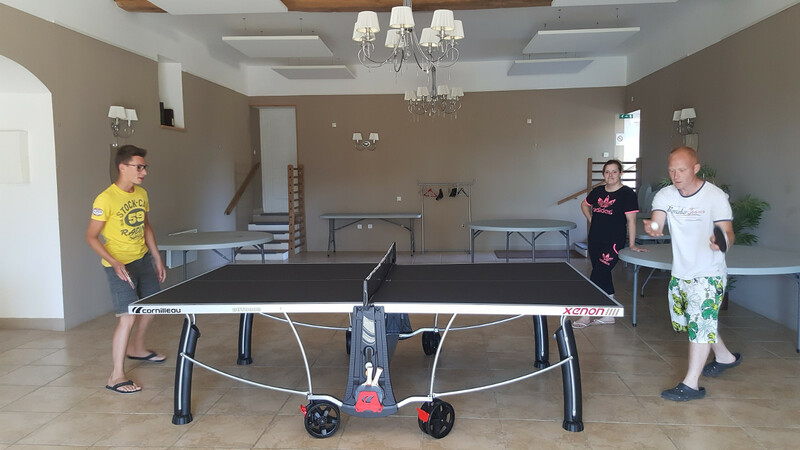 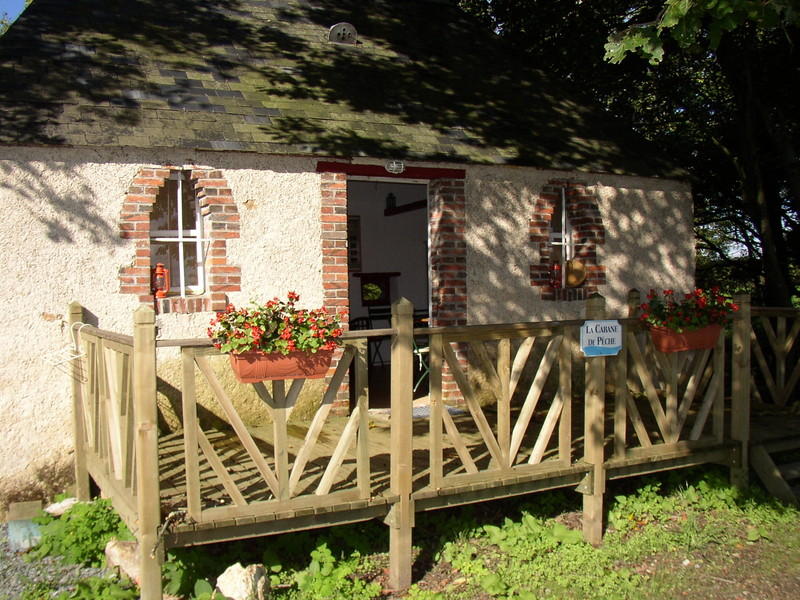 2 lodges very similar for 5 people, all comforts provided, near the pool and situated in a charming 19th Century building. 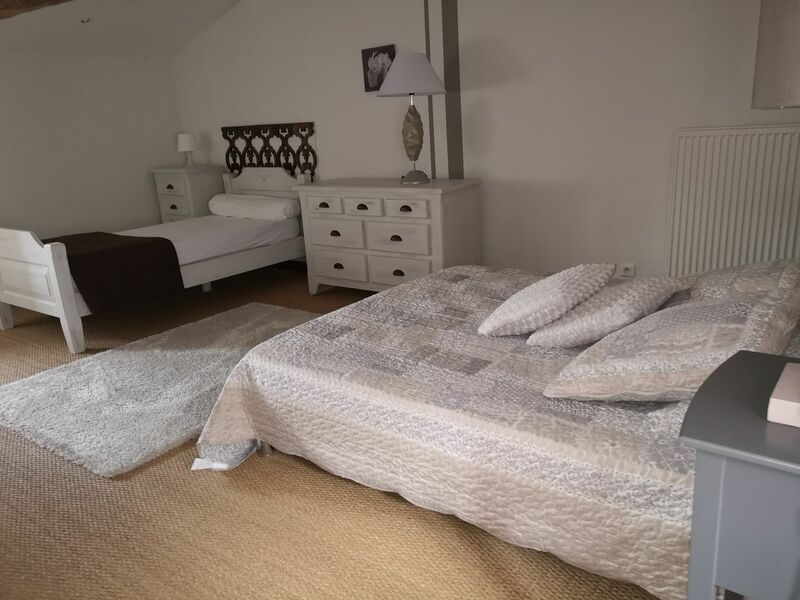 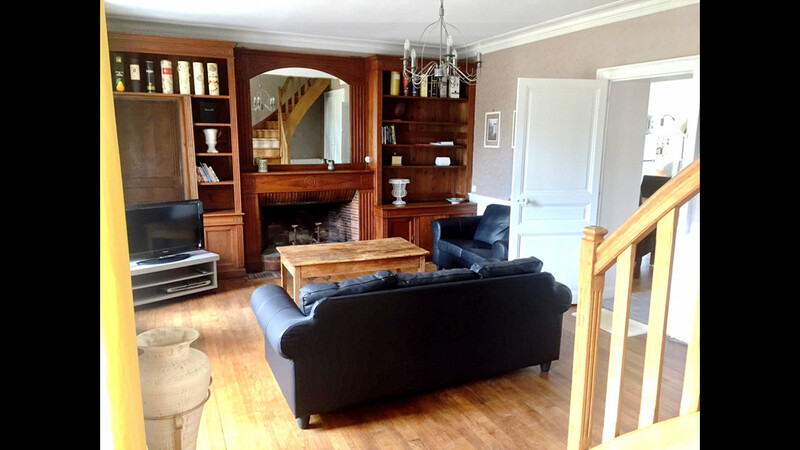 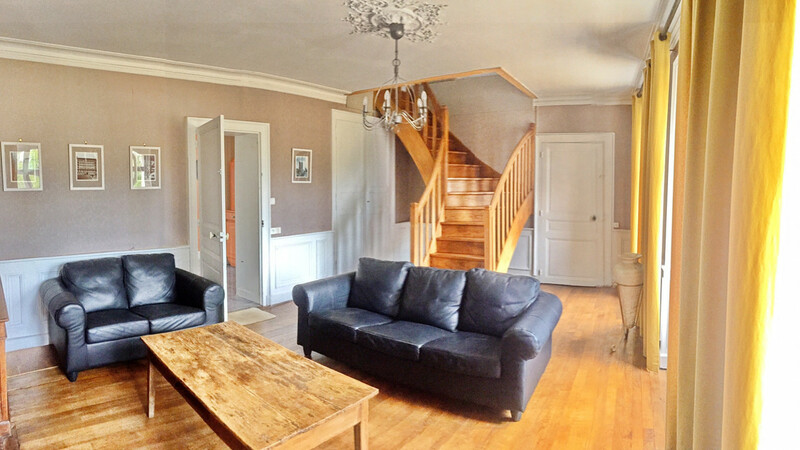 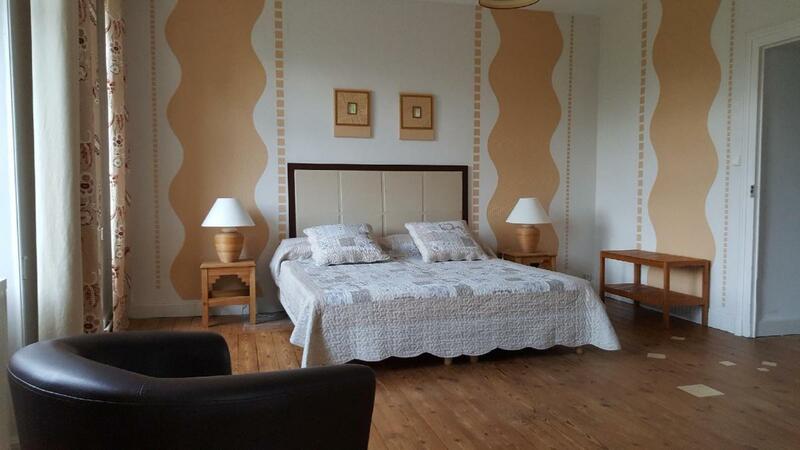 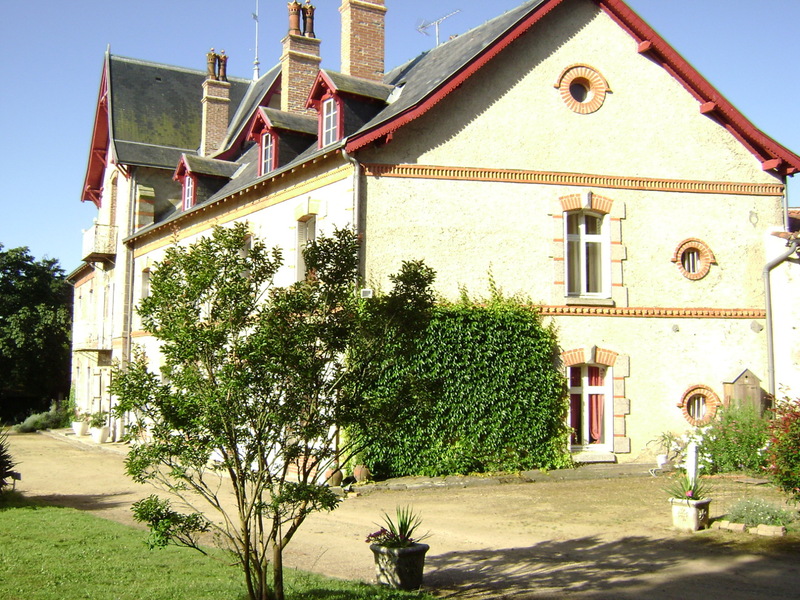 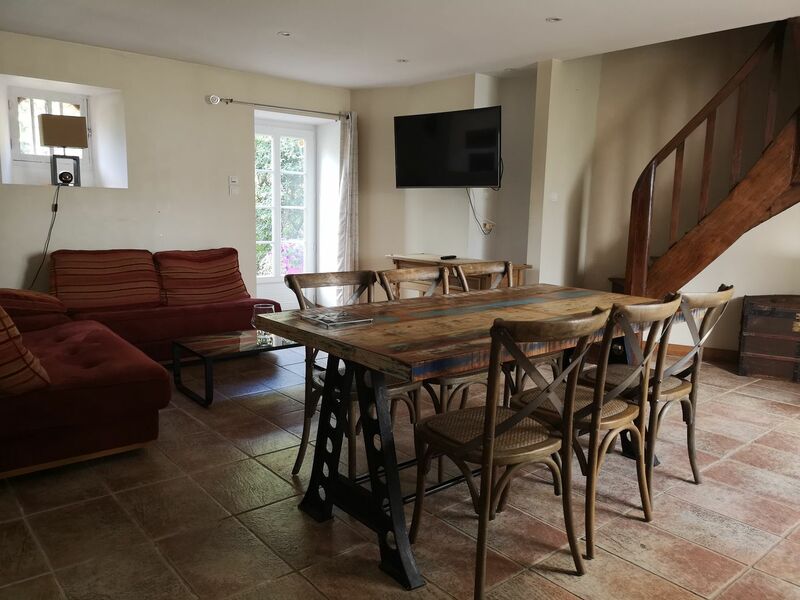 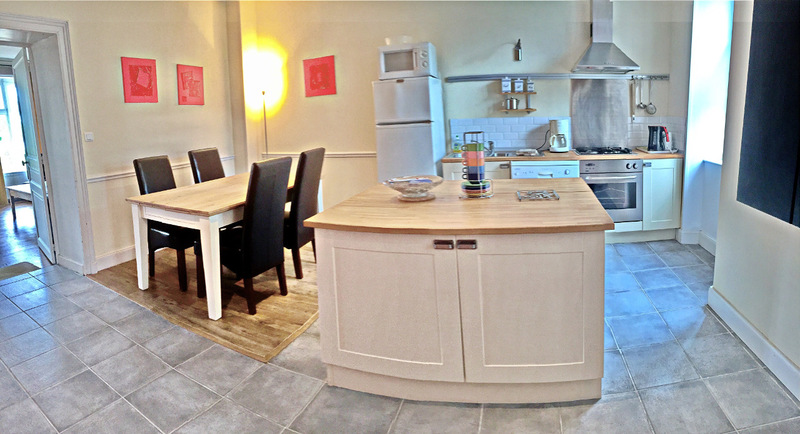 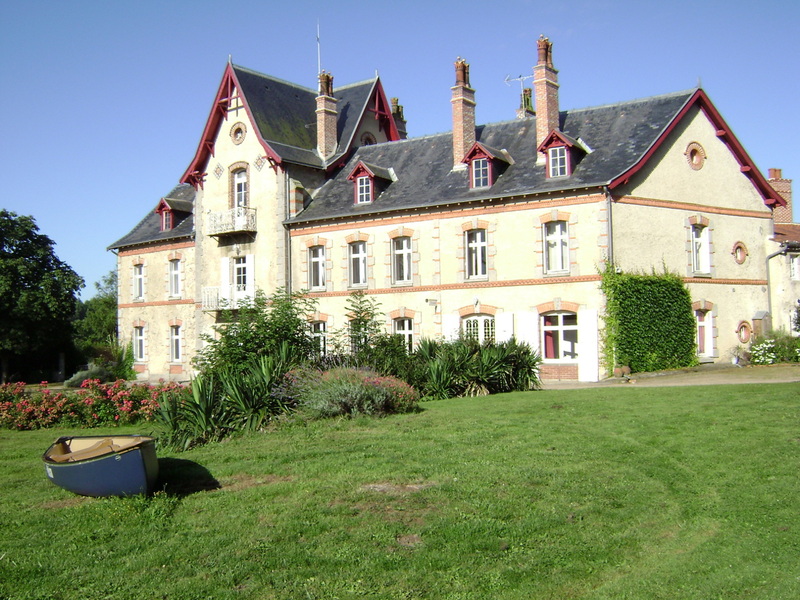 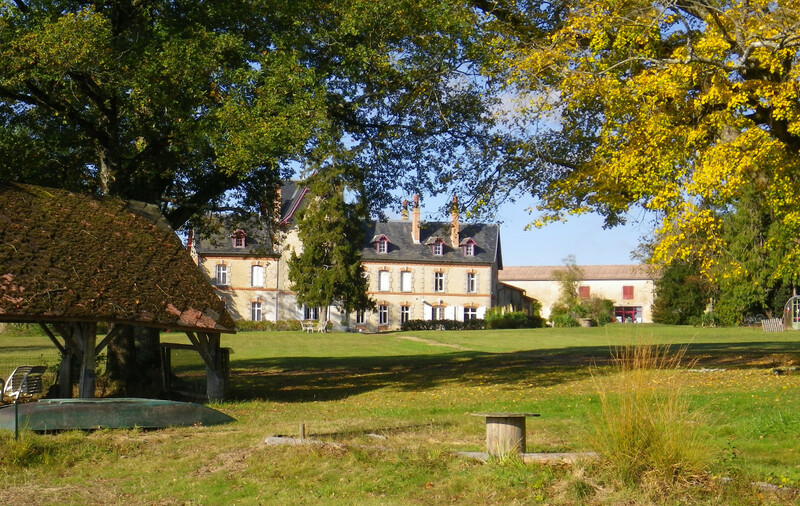 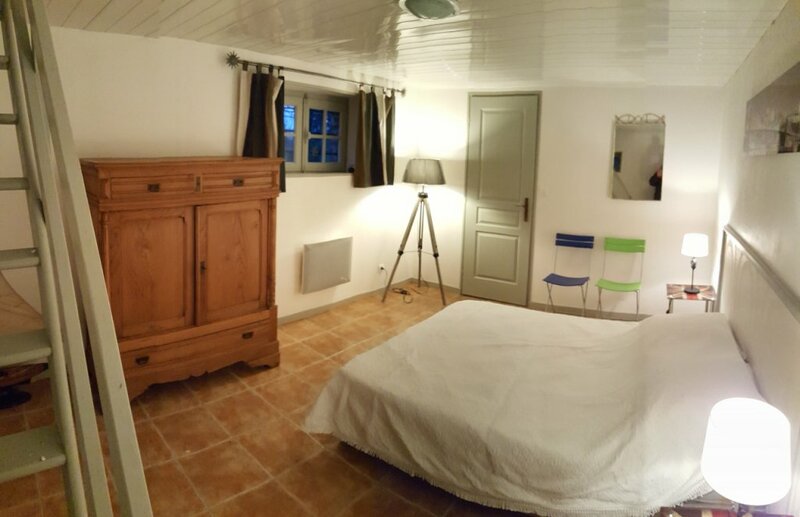 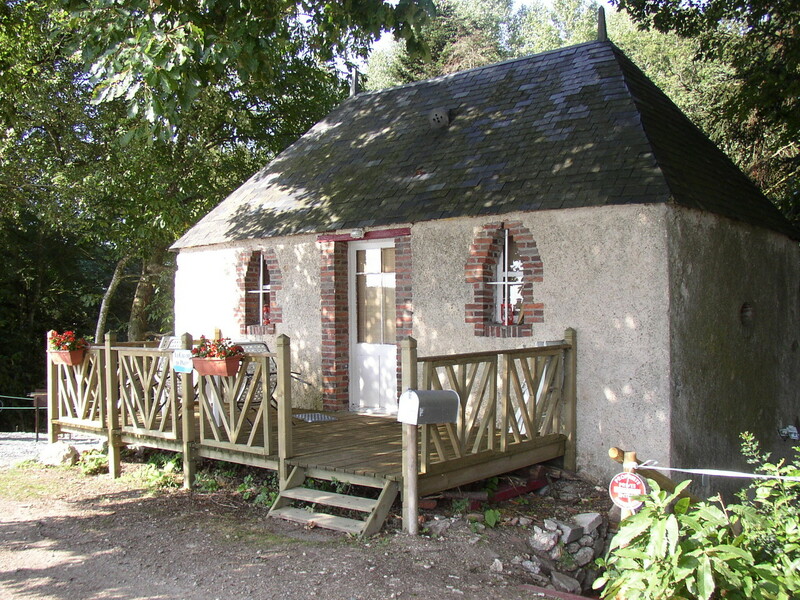 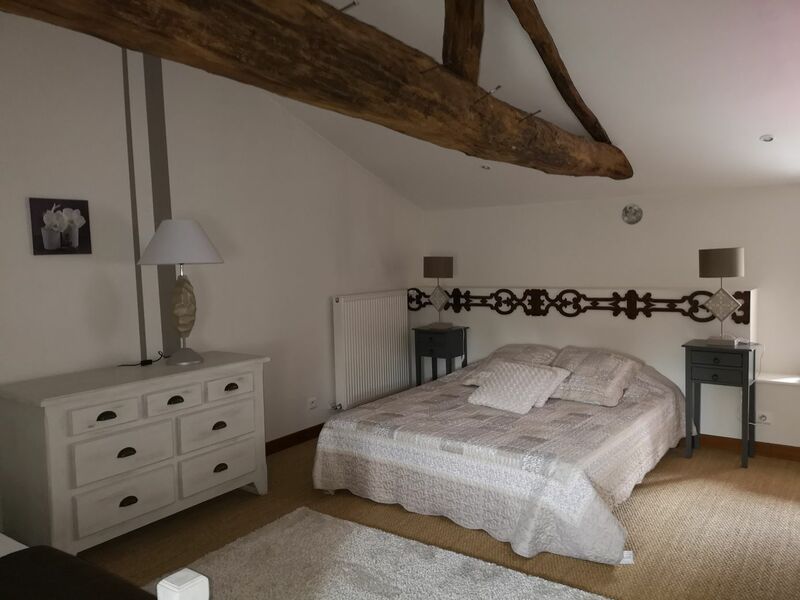 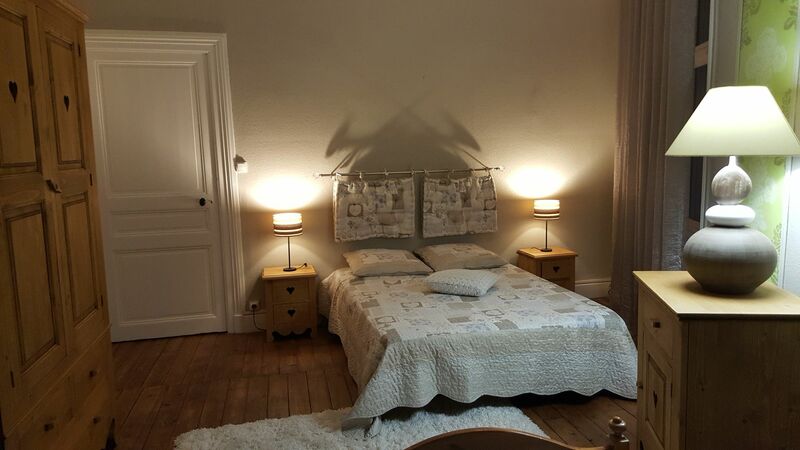 A second rural gite for 5 people, also within the 19th Century building. 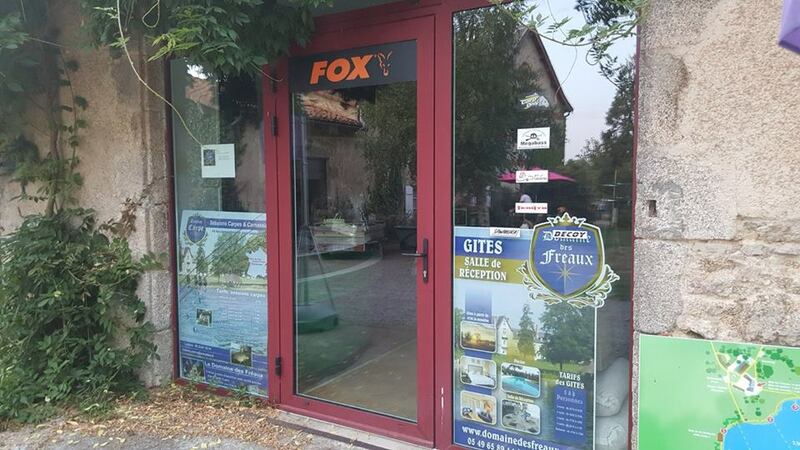 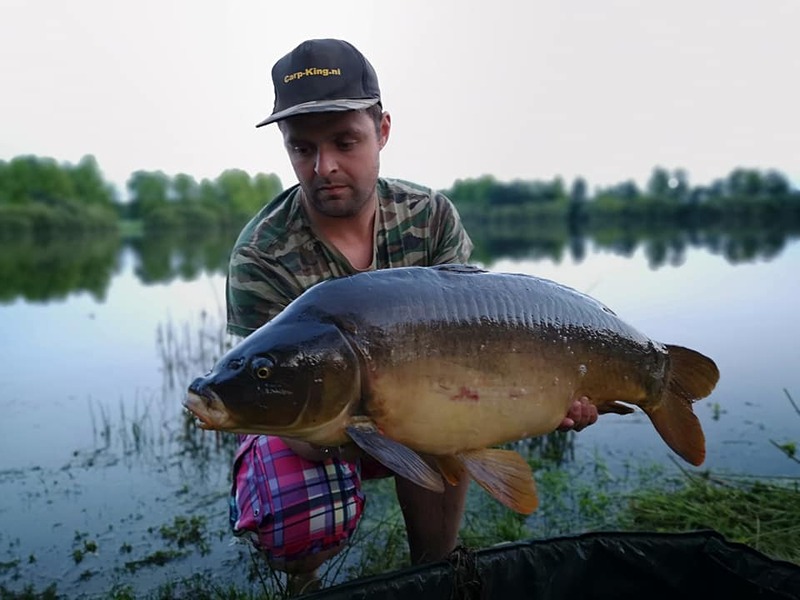 A few kilometres away, there are all amenities (supermarkets, chemists, etc) as well as the Poitevin Marsh, also known as the Green Venice, the second largest marsh area in France. 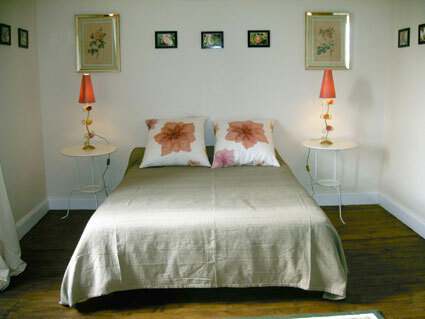 The town of Poitiers is less than an hour away with museums, shops and restaurants. 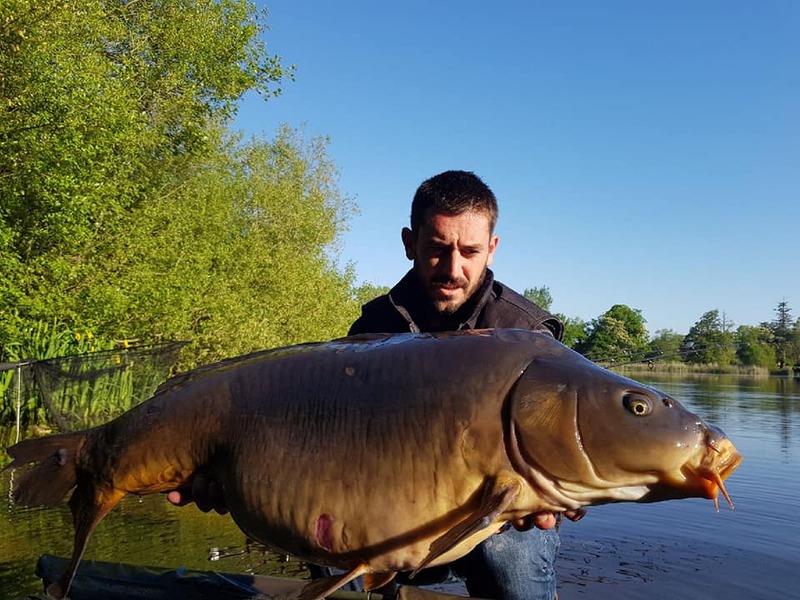 Finally, Central carp is well placed (less than an hour) for 2 of the most famous theme parks in France; the Puy du Fou with its Middle Ages reconstructions and displays (chevaliers, birds of prey) and, of course, Futuroscope, for its many futurist attractions which will amaze you. 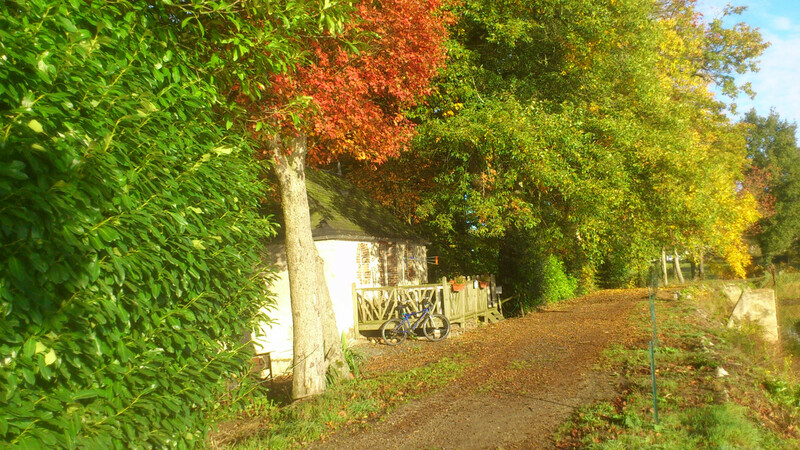 Motorised vehicles must be parked on the designated parking area after emptying/filling them; only cycles are allowed to be used freely around the domain. 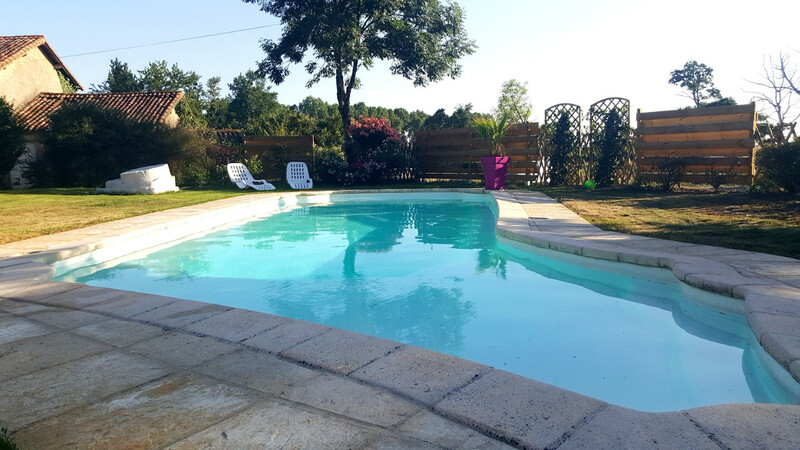 All swims and accommodations must be inspected before you leave and must be kept clean and tidy.